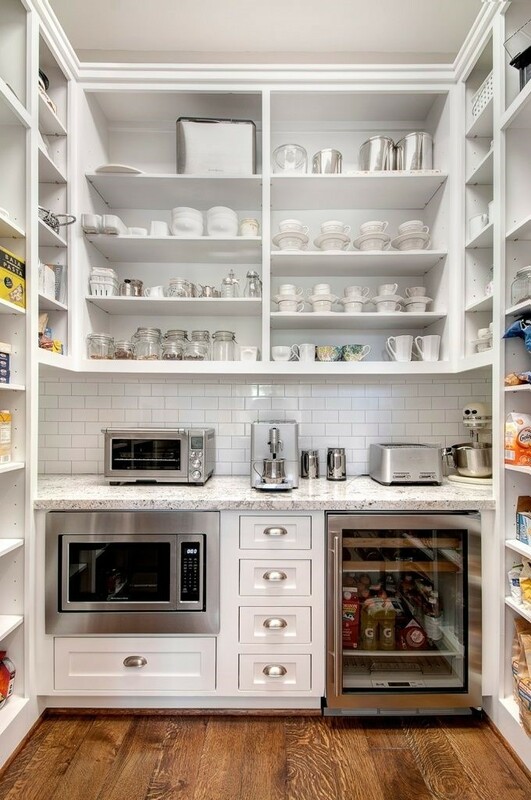 Traditionally, kitchen designs would tuck pantries away in corners or other ‘difficult to fill’ areas of the kitchen. This would result in deep shelving which required major extraction exercises to get to daily essentials. Step ladders and extra long arms were common practice in both retrieval and restocking procedures. Today we’re proud to see pantries receiving the practical attention they deserve as they are important in basic daily functionality. More importantly, it’s a little room that can house all those daily essentials without clogging your kitchen bench. Furthermore, you can easily see what you have (and therefore what you need) without torches and stepladders. 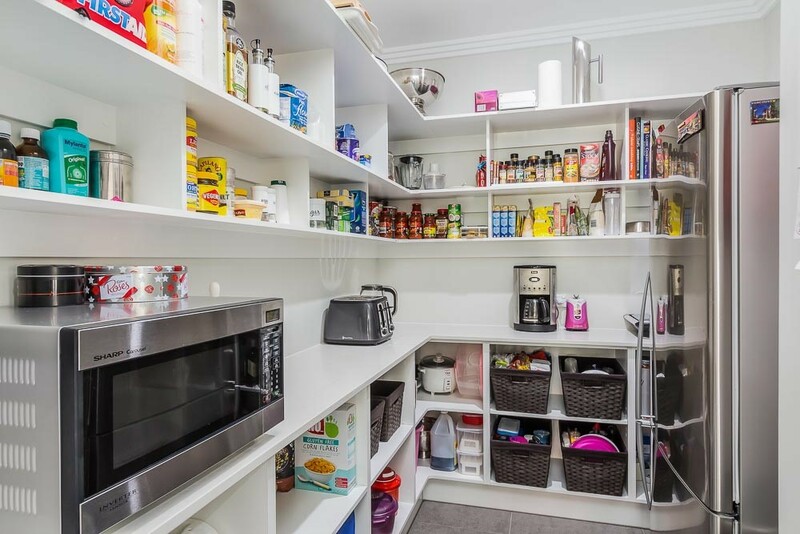 At Manasons, the pantry layout is one of the most important design considerations… it always has ample shelving, a stone bench with tiled backsplash, ample power points for minor appliances and is still pretty while being practical.